Click on each tab below, to expand, and read that section. Armando C. Gonzales a true professional who produced The Tucson International Mariachi Conference concerts for 16 years. His unending and artistic commitment was to keep our culture and musical traditions alive. His invaluable efforts were recognized in all of the events throughout the Conference. Armando had been a performer with Up With People, appeared at two Super Bowls, and also at the Vatican for Pope John Paul. He was also hired to produce other shows throughout the country. To honor his wonderful creative vision and dedication, the Conference has been so gracious as to renaming The Student Showcase to The Armando C. Gonzales Student Showcase in his loving memory. Dr. Nelba Chavez began her work at La Frontera in 1971 when it was called Tucson Southern Counties Mental Health Services. Before joining La Frontera Nelba worked as a probation officer at the Pima County Juvenile Court Center and as a director of day camps for the Catholic Youth Organization in Los Angeles. Nelba was appointed to the National Council on the Handicapped, a one year presidential appointment. Dr. Chavez consulted for the U.S. State Department on mental health and substance abuse issues and has received numerous awards and national recognition from the American Medical Association and the U.S. secretary of Health and Human Services. Former Arizona governor Janet Napolitano named Chavez deputy director of the Arizona Department of Economic Security. 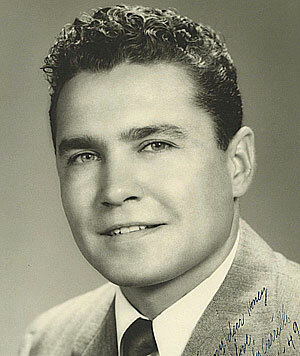 Leo Sotomayor Carrillo was born and raised in Barrio Anita Tucson Arizona. Mr. Carrillo is most remembered for is his dedication to his sons, Randy and Steve’s musical pursuits, beginning with the Mariachi Los Changuitos Feos in the 1960s all the way through their founding of Mariachi Cobre and beyond. 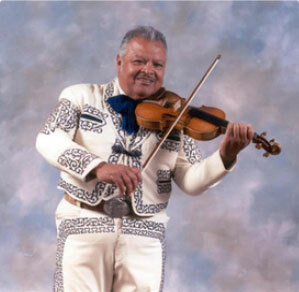 Mr. Carrillo tirelessly volunteered to chaperone and chauffer the boys of Los Changuitos Feos to a variety of gigs around Arizona, and New Mexico, and with his wife, Emma, and other Changuito parents, was instrumental to the group’s success. Mr. Carrillo could often be seen at the Tucson International Mariachi Conference savoring the music whether his sons played or not, and was beaming in Boston’s Symphony Hall when Mariachi Cobre made its triumphant debut with the Boston Pops. On May 29, 2013, Leo Sotomayor Carrillo passed away at St. Joseph’s hospital, listening in his final hours to the mariachi music he loved throughout his life. 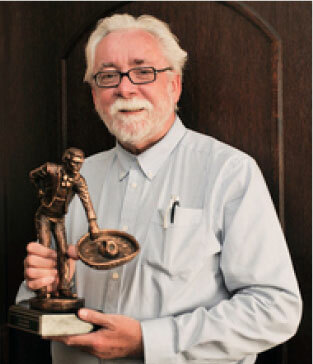 Documentary filmmaker Daniel Buckley joins such notables as Linda Ronstadt, Lalo Guerrero, Mariachi Cobre, Mariachi Vargas and Nati Cano in receiving this honor. “No honor I have or will ever receive means more to me than this,” Mr. Buckley said of the award. For more than 30 years, Daniel Buckley has written about mariachi and folklórico culture in Tucson, and for over ten years of that time he has documented mariachis and folklórico dancers via video as well. Mr. Buckley expressed his gratitude to those who helped him most at the beginning of his journey to understand mariachi and folklórico. They include Elva Flores, Raul Aguirre, Julie Gallego, Ralph Gonzalez, Richard Carranza and the families of Mariachi Cobre members Mack Ruiz and Randy and Steve Carrillo. Daniel Buckley is currently producing a documentary on how mariachis and folklórico dancers transformed Tucson. One strong voice has stood out in Tucson as an advocate for the students of Mariachi. This year we select radio personality and the long-time Student Showcase emcee, Mario Celis, as the inductee into the Hall of Fame. Year in and year out, Celis has publicly touted the benefits of enrolling kids in music education. Listeners to his morning radio show on KEVT1210 La Raza hear a steady stream of endorsements keeping our genre alive. We applaud his 28-year commitment and thank him for spreading the message to generation after generation. 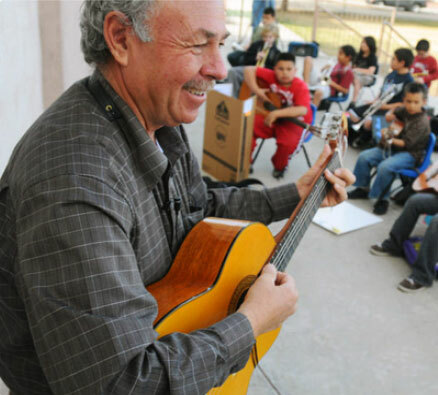 A very special mariachi music hero, Dr. Alfredo Valenzuela has inspired hundreds of local children with his love of music and is known as “Mr. V”, but in May 2008, he received an honorary doctorate degree in music education from the University of Arizona’s College of Education. So now we know him as “Dr.” V! He has been an educator in Tucson for more than 40 years; many of those at Davis Bilingual Elementary Magnet School. Even though he retired a few years back, his dedication to the mariachi program is unflagging — he’s there in the afternoons encouraging young maestros to give it their best. He is the director of Mariachi Renunciación, as well as the leader of Mariachi las Aguilitas de Davis Bilingual Elementary; a group of first to fifth-graders that open the entertainment at the Participant Showcase each year! Nati comes almost every year with his incomparable ensemble to lead the students in our many mariachi workshops and perform for the thousands of Los Camperos fans. 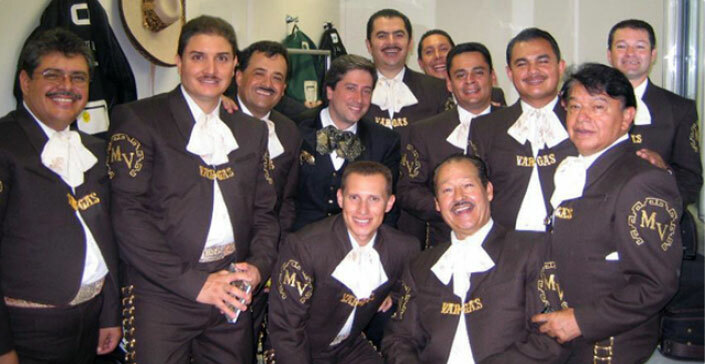 The mariachi stage shows that are commonplace today are due to the dedication of Nati in venues as big as the Hollywood Bowl and intimate as his famous restaurant in Los Angeles, La Fonda. Nati Cano intentionally shaped his band with artistic finesse and musical accuracy to fit the style of his technically-superior arrangements. He is a Grammy Award nominee and in 2006 Cano was awarded the National Endowment for the Arts-National Heritage Fellowship, the United States government’s highest honor in traditional arts. Born in Mexico City, Lucero Hoganza Leon began her singing and acting career at the age of 10. Known then as Lucerito, she was a child phenom who started as an actress in a children’s TV series. Armed with her long hair, Latin beauty, and talents in acting, singing, and dance, Lucerito grew up in front of her fans and by the time she turned 20, she had emerged as a celebrity. Lucero has over 20 musical CDs, films, television shows, and theater performances to her credit. She has won numerous awards and continues to win acting, singing, and entertainment industry awards from each of these categories. Most recently she was asked to once again host the TV y Novelas Awards where she was presented with the 2007 TV y Novelas award for Lifetime Achievement. Born in Guadalajara in 1969 as José Martín Guevas Cabos, Pedro made his acting debut at the age of nine in the movie, La Niña de la Mochila Azul, in which he also sang the theme song. He changed his name to Pedro Fernandez by combining the names of the two musicians he admired most – Pedro Infante and Vincente Fernandez. A world-wide music star, Fernandez has acted in many Mexican films and soap operas. 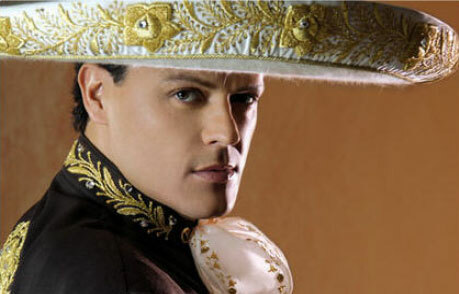 He has also recorded a variety of music; ranchera, pop ballards and mariachi. In 2003, he received the Latin Grammy award and in May 2006, performed at the White House for the Cinco de Mayo Celebration. Rocio Durcal’s life is a fantastic story of an entertainer whose dedication to song became embraced by fans worldwide. It was specifically her ranchero style that made her a household name. She sang in several other styles — pasodobles, cumbias, tangos and even rock – yet rancheras were the heart and soul of her repertoire. Rocio came to be popular via movie stardom and eventually her musical notoriety outshined her film acclaim although she was an accomplished actress. At the age of 17, María de los Angeles De Las Heras Ortíz began working as Rocio Dúrcal, a name taken from a Spanish province. Her movie Canción de Juventud was the first of many musical comedies she starred in. In 1970, Rocío married the Philippine singer and composer Antonio Morales a.k.a. Júnior, former member of the Pop musical group Los Brincos, who were considered the Spanish version of The Beatles. Theirs was one of the most solid marriages of their time. Although the star hailed from and lived in Spain, her collaborations with Mexican singer-composer Juan Gabriel, the person who prompted her to sing ranchero in the 1970s, thrust her into the limelight. And her recordings with Mariachi America de Jesus Rodriguez de Hijar were unprecedented smash hits, not only in Spain and Mexico but also in Latin America and with the Hispanic community of the United States. 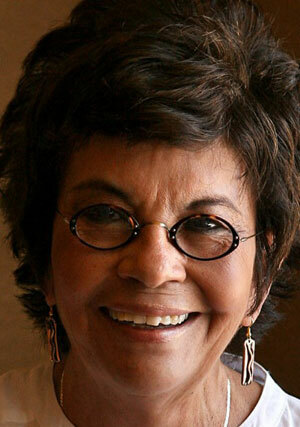 The music world will miss her, one of the more brilliant stars of Spanish-language show business. 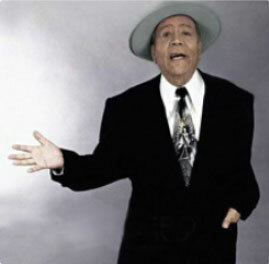 A hero to many Hispanic musicians, Lalo Guerrero sang all forms of Mexican and Latin music, and his career spanned six decades. Dubbed the “Father of Chicano Music,” Lalo, a native Tucsonan, left an impression on the hearts of many. 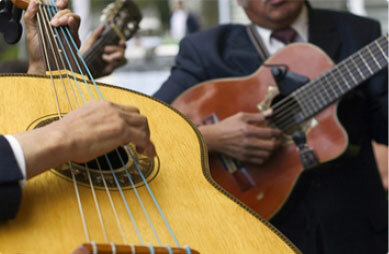 Even the heritage of mariachi felt the creative power of his spirit. 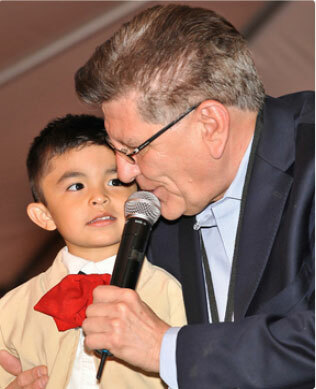 As part of the Tucson International Mariachi Conference, Lalo performed many of his most famous tunes. Guerrero grew up in Tucson in the neighborhood called Barrio Viejo, the part of town that now includes the Tucson Convention Center. He began playing and writing music in his teens, and from there he created a repertoire of songs that spanned his life and experiences. “Tucson’s Ugly Little Monkeys,” was founded in the summer of 1964 by a musically talented priest under the sponsorship of the Catholic Youth Organization of All Saints Parish in Tucson. This group of boys started out playing for church functions and local events and before long they were traveling throughout the United States and Mexico. In 1970, Mayor Lew Davis proclaimed June 13th as “Los Changuitos Feos Day” in the city of Tucson. In 1971, some of the original members left the group to start Mariachi Cobre, and so Los Changuitos Feos recruited new local talented youth and continued as strong as ever. Rebecca Gonzales was raised in San Jose, California and started playing classic violin in a youth symphony. It was in these years she was drawn to mariachi music. 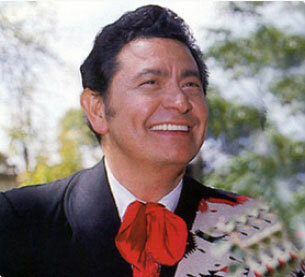 In 1972, Gonzales played with Mariachi Los Abajeños in San Jose, and later moved south to Los Angeles and started performing with Mariachi Uclatlán. In 1975 Gonzales’ career took off and she became the earliest known female to perform with a traditionally all-male mariachi show group in the United States. She was the first “Campera” (the female version of a Campero), from Mariachi Los Camperos de Nati Cano. With Nati Cano as director, Rebecca is credited for creating the standard “look” of a female mariachi has a “traje de charro,” a full-length skirt. Thanks to pioneers like Gonzales, female mariachi musicians abound and many mariachi groups are all female. 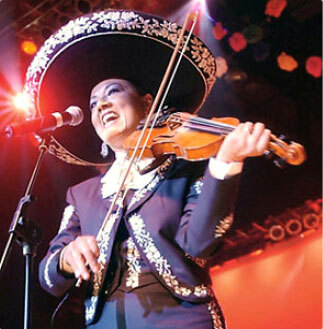 During an interview, Gonzales said, “I think people enjoy seeing women perform, it’s something new and unique.” In what was traditionally an all-male genre, the shift to include female mariachi helped create a more diverse and enhanced sound. Laura Sobrino has accomplished much for mariachi and women involved in the music. She is credited with being the first musical director of the first all female mariachi show group in the U.S., Mariachi Reyna de Los Angeles. In addition, she is the founding member of Mariachi Mujer 2000. Those accomplishments alone are enough to gain her “pioneer” status, but there’s more; Laura is recognized as the second woman in the United States to become a professional mariachi musician. Sobrino was the first woman to play with the legendary Mariachi Los Galleros de Pedro Rey and with Mariachi Sol de Mexico de Jose Hernandez. 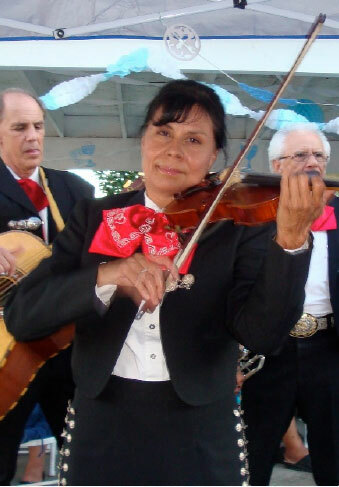 Her mariachi life started in 1978 when she moved from Santa Cruz, California to Los Angeles in order to write her thesis on the mariachi violin style. She finished her thesis, but once in Los Angeles, she was overcome by the spirit of mariachi and became involved in performing. Sobrini co-authored an online History of Women in Mariachi Music, which is the first documentation of women’s participation in mariachi. 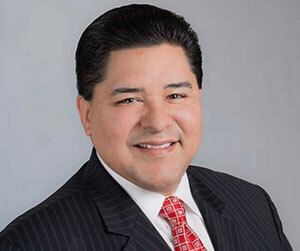 José Ronstadt is a native of Nogales, Sonora and now resides in Los Angeles where he anchors the news for KHYT, Telemundo. Ronstadt has emceed Tucson’s mariachi conference for decades. Described as “a man who uses wit, enthusiasm and knowledge to make things happen,” José is well known in the Latino community not only for his television background, but for his long activism on behalf of Hispanic causes. Many of the television shows that he has hosted have had an advocacy and informational emphasis. 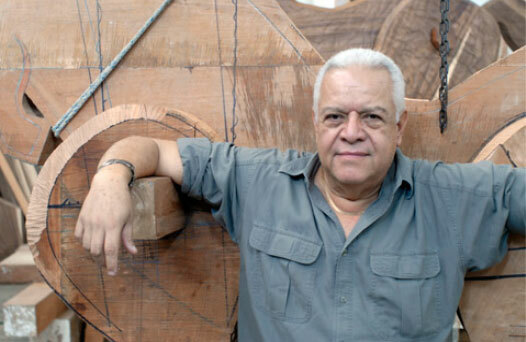 Rafael Zamarripa’s name is synonymous with Folklórico dance and art. The group he founded, Grupo Folklórico de Guadalajara, set a standard and created what would be known as traditional Folklórico dance. Among its strategic partnerships with many Hispanic organizations, Bank One enjoyed a 19-year history of dedication to advancing the Mariachi tradition through its lead sponsorship of the Tucson International Mariachi Conference. 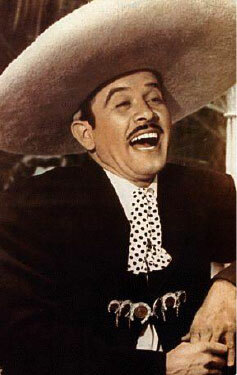 Credited with bringing Bolero Ranchero into prominence, Pedro Infante recorded hundreds of songs and starred in dozens of films. More than 40 years after his death in a 1957 plane crash, this idol from Sinaloa, Mexico, is still widely popular. “La Reina de la Musica Ranchera” mesmerized audiences throughout the world performing not only for the masses but also for global leaders. 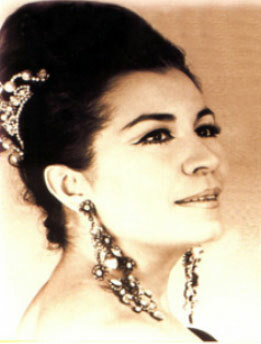 Lola Beltrán recorded a number of gold records, and produced and acted in films throughout her life. She died in 1998. 2001 - Juan Mendoza "El Tariacuri"
A favorite from Michocan, Mexico, “El Taracuri” is known for founding the trio “El Trio Taracuri” with two of his brothers and later a duo with a sister. American pop star and native Tucsonan, Ronstadt´s 1988 CD, Canciones de Mi Padre helped herald the creation of a new audience for mariachi music among non-Hispanics. Canciones de Mi Padre won a Grammy award that year for Best Mexican-American Performance. In 1993, her subsequent work, Mas Canciones also received a Grammy for Best Mexican-American Album. 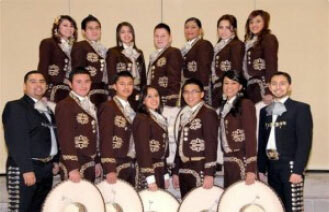 Mariachi Los Camperos started when a Mexican boy named Natividad Cano was born into a family of mariachi musicians. At the age of seven he learned to play the mariachi rhythm guitar (vihuela), and two years later started studying the violin at Academia de Musica in Guadalajara, Mexico. In his mid teens he quit school to help support his family and to make money he played music professionally in restaurants and bars. 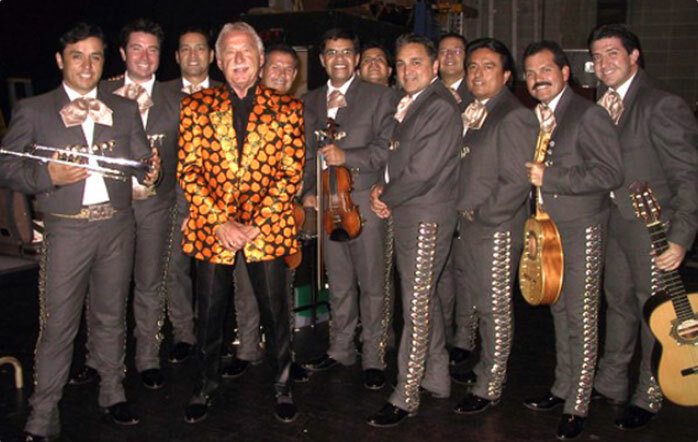 At the young age of 17 he moved to Mexicali, joined Mariachi Chapala and became the group’s manager and arranger. Later he moved to Los Angeles where he formed Mariachi Los Camperos. The group started in 1964 and was soon known as one of the premiere mariachi ensembles in the United States and Mexico. As the word of their talent spread, they became known as one of the bands that set the standard for what traditional mariachi should be. Today the talent of the band and how they play together marks a clear path for aspiring mariachi bands to follow. With the leadership of Nati Cano and Jesus Guzmán, another arranger in the band, Mariachi Los Camperos, “Nati” Cano is credited for taking mariachi music from the streets of Mexico to some of the most highly regarded concert halls in the world. The band has performed at such places as the White House, Lincoln Center’s Avery Fisher Hall, and Guadalajara’s Teatro de Degollado. Mariachi Los Camperos has a reputation for being insistent that musical arrangements highlight the individual skills and voices of the players. The band is featured on Linda Ronstadt’s Canciones de Mi Padre and Mas Canciones albums. Mariachi Vargas de Tecalitlán formed in 1898 in the town of Tecalitlán, south of Jalisco, and has the distinction of being the world´s premier mariachi. 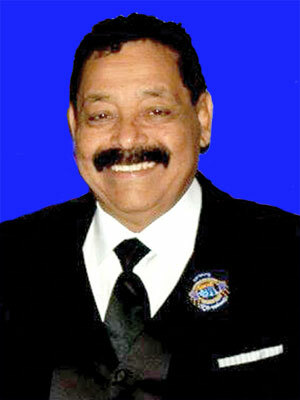 It has held that reputation since the 1950’s when it was lead by Don Silvestre Vargas, son of founder Gaspar Vargas. This group has come a long way from the one harp, single guitarra de golpe, two violins and peasant garb of its early days. But it has remained true to its roots. Since the early days, it has continued to play traditional Mexican songs though they are now mixed with some incredible compositions of light classical works and potpourri that delight audiences everywhere. The classical influence can be attributed largely to Ruben Fuentes, the group´s musical director for the last 25 years. The talents and skills of Fuentes—conductor, producer and arranger for the group—help set the mariachi apart in today´s music industry. But it is the group´s collective instrumentation, versatility and talent that result in the flawless, elegant and delightful performances. Mariachi Cobre’s roots started 40 years ago in Tucson with Los Changuitos Feos, a group of boys wanting to play mariachi music. 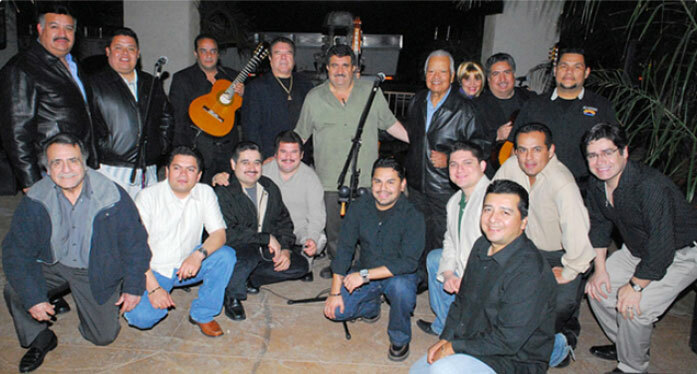 From this original group in 1971 Mariachi Cobre was formed and began a history of its own. 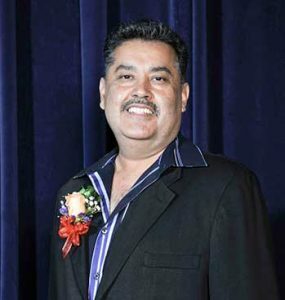 Eight Cobres are former Changos including Randy Carrillo who started Cobre with the support of his younger brother Steve, his friend Mack Ruiz, and musical arranger, Frank Grijalva. Since 1982 they have been playing at EPCOT Center at Disney World in Orlando, Florida. As their show continues, they impress fans and wow crowds from all over the world. With a diverse international audience, Cobre became known as “ambassadors to the music.” They continue to cultivate relationships with other bands and entertainers to keep the music growing. Before arriving in Florida and even now, the group has worked with such renowned artists as Linda Ronstadt, Julio Iglesias, Vicki Carr, Lucha Villa, Lola Beltran, Ana Gabriel, Guadalupe Pineda, Jose Luis Rodriguez, Rocio Banquells, and Beatriz Adriana. This dedication combined with travels throughout the United States, Mexico, and abroad, they are sometimes called the band that “brought mariachi music to the masses.” With every performance Mariachi Cobre shares the tradition and heritage of mariachi.